President Donald Trump’s former national security adviser Michael Flynn has pleaded guilty to lying to the FBI about conversations with Russia’s ambassador Sergey Kislyak, the Associated Press reports. 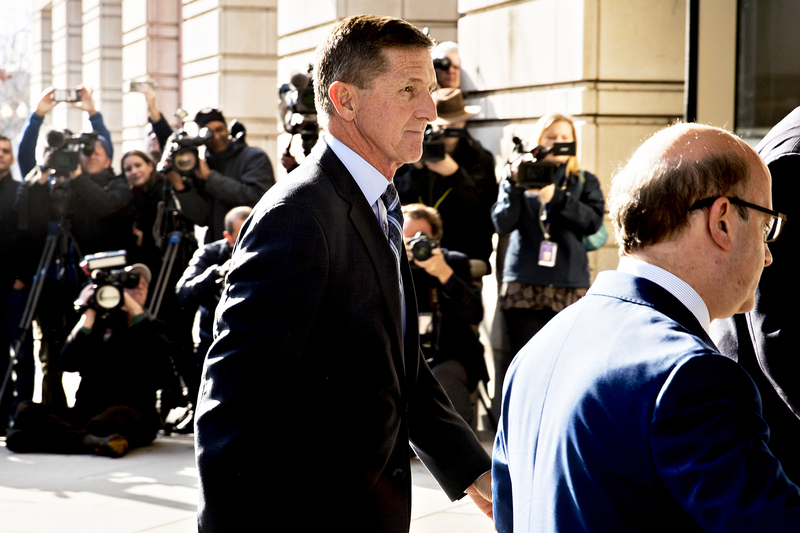 Flynn, 58, appeared in federal court in Washington, D.C., on Friday, December 1, to enter his plea. He admitted that a senior member of the Trump transition team directed him to make contact with Russian officials in December 2016. “My guilty plea and agreement to cooperate with the Special Counsel’s Office reflect a decision I made in the best interests of my family and of our country. I accept full responsibility for my actions,” Flynn said in a statement, via CNN. The retired U.S. Army lieutenant general is the first official from Trump’s campaign and the fourth connected to the campaign to be charged in special counsel Robert Mueller’s investigation into possible Russian collusion in the 2016 U.S. presidential election. Trump’s former campaign foreign policy adviser George Papadopoulos pleaded guilty in October to making a false statement to the FBI over contacts with officials connected to the Russian government. And in November, Trump’s former campaign chairman Paul Manafort and his former business associate Rick Gates were indicted on 12 counts, including conspiracy against the U.S. Manafort and Gates pleaded not guilty. Flynn could face up to five years in prison. Us Weekly has reached out to the White House for comment.